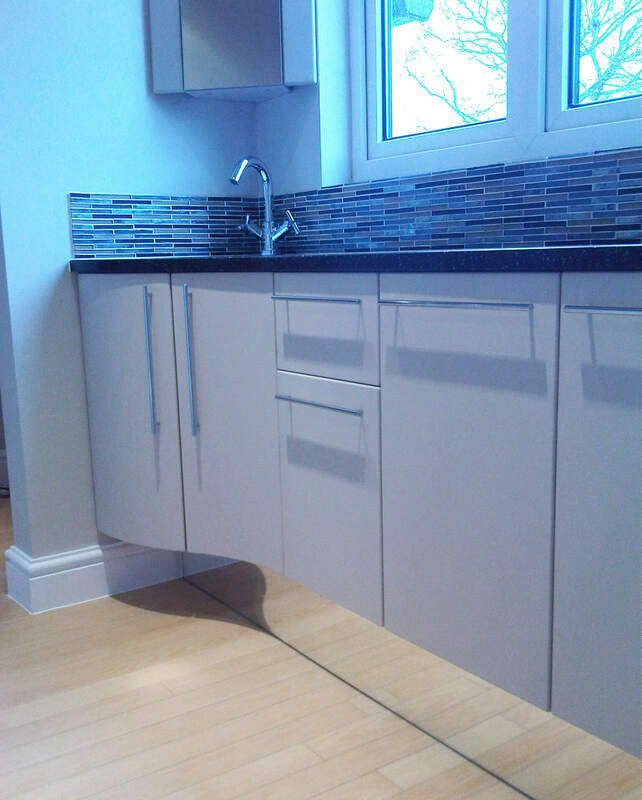 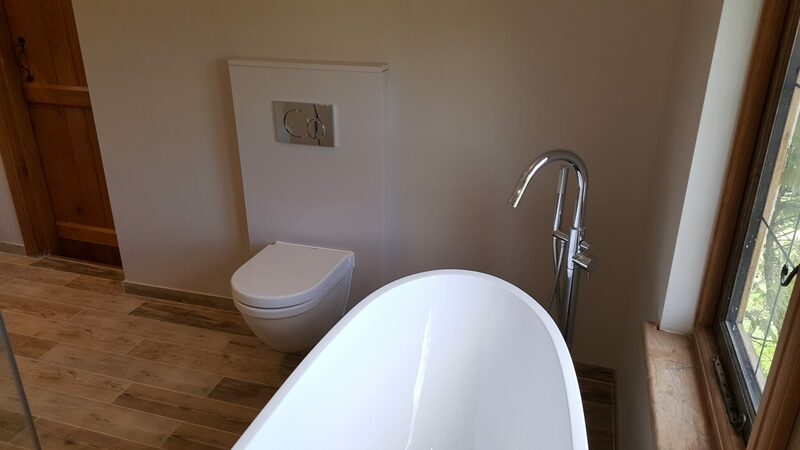 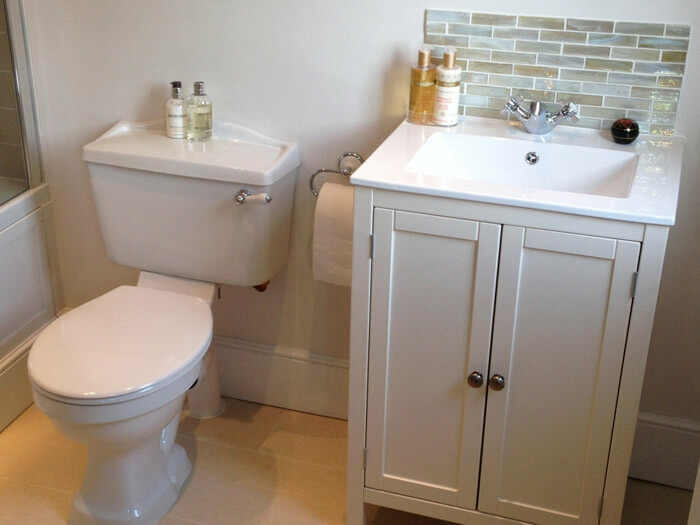 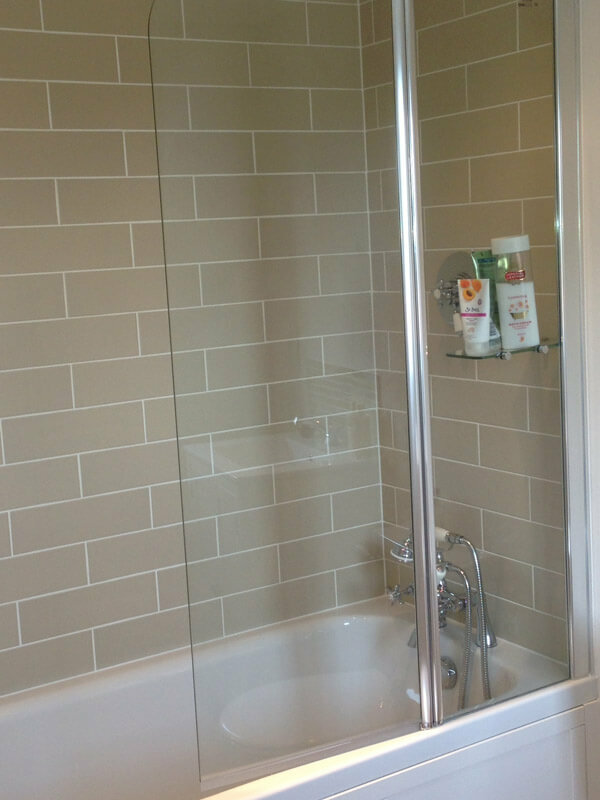 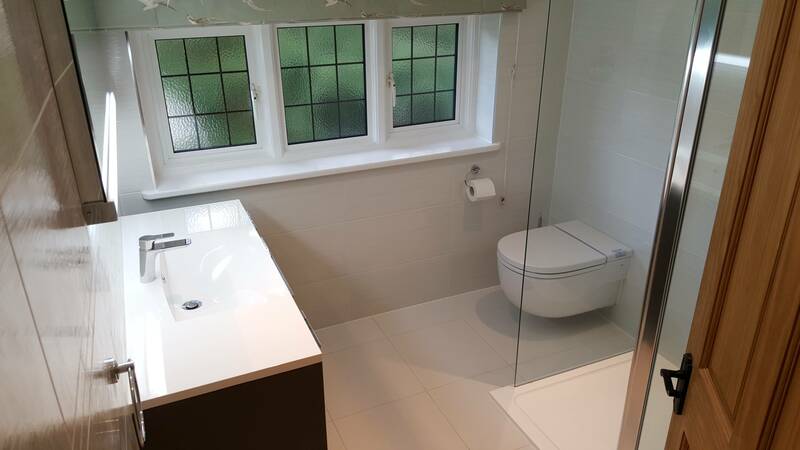 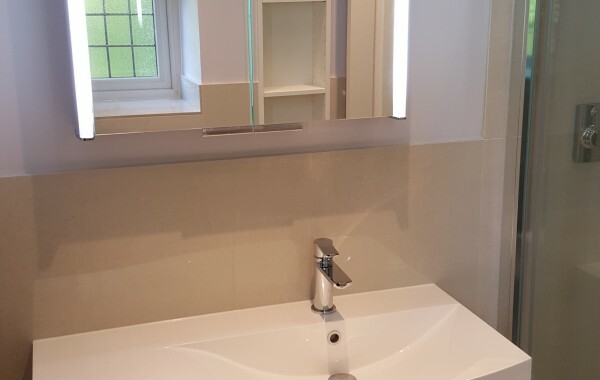 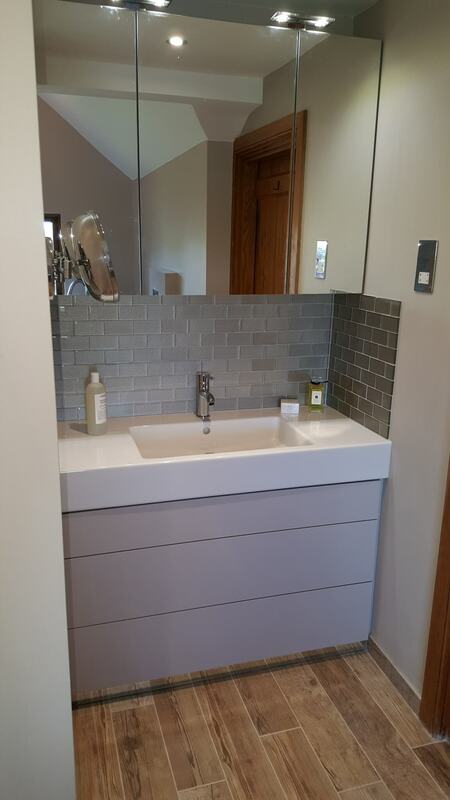 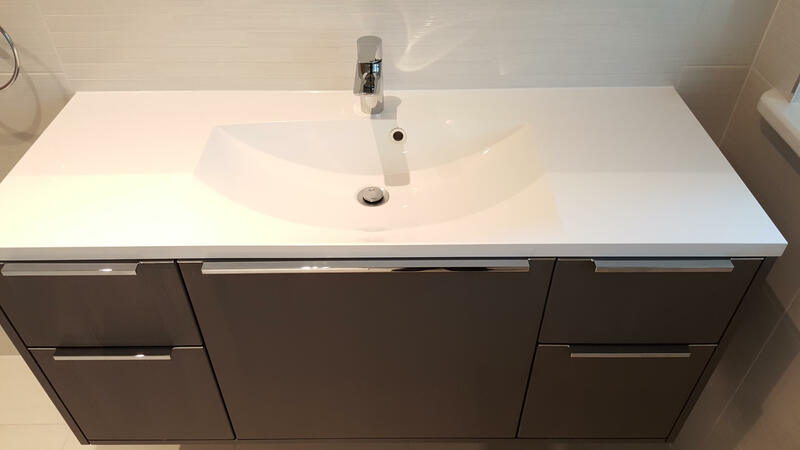 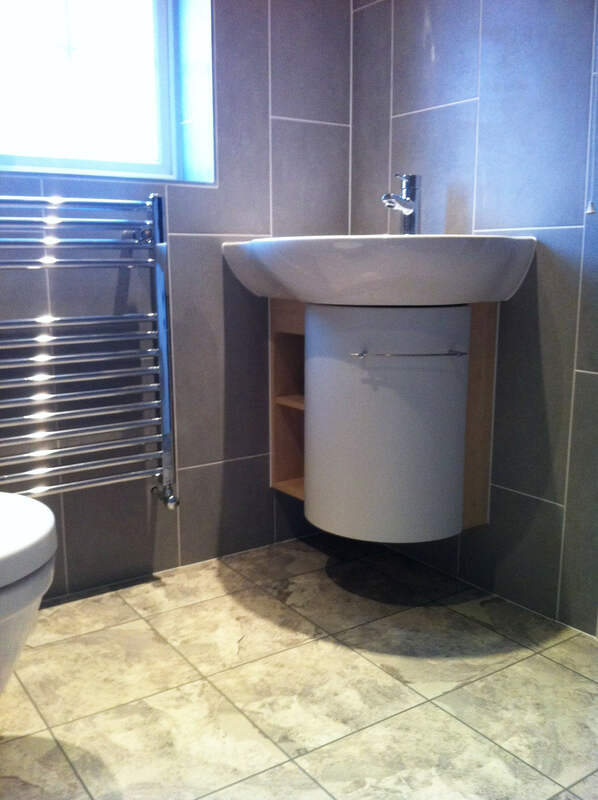 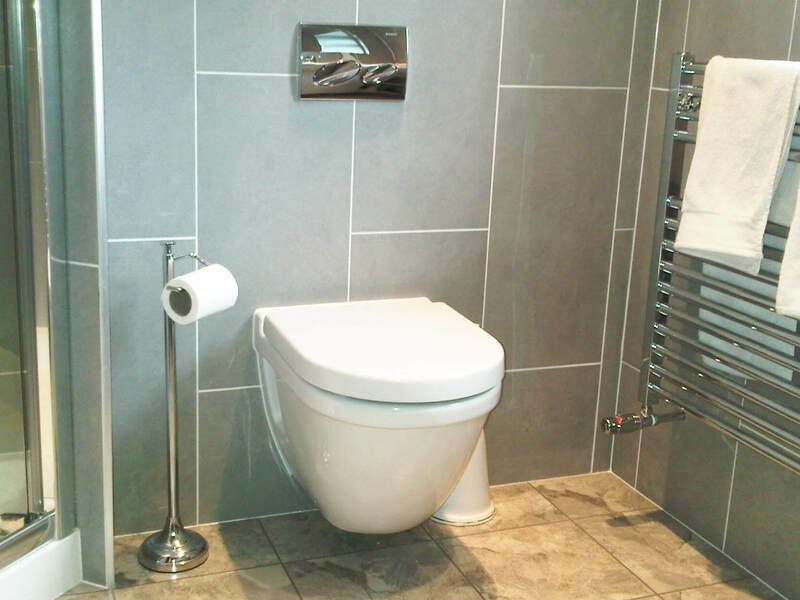 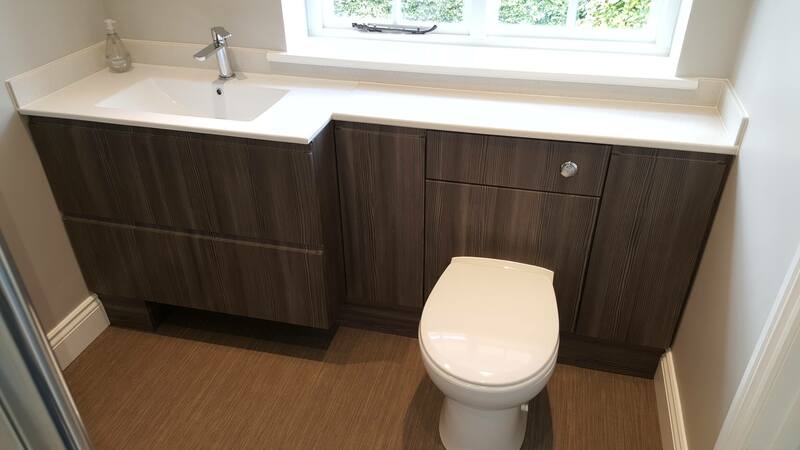 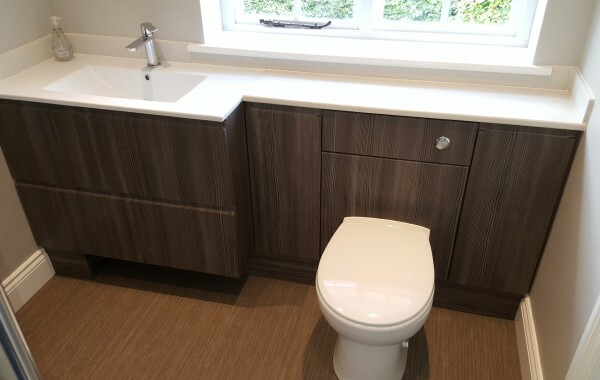 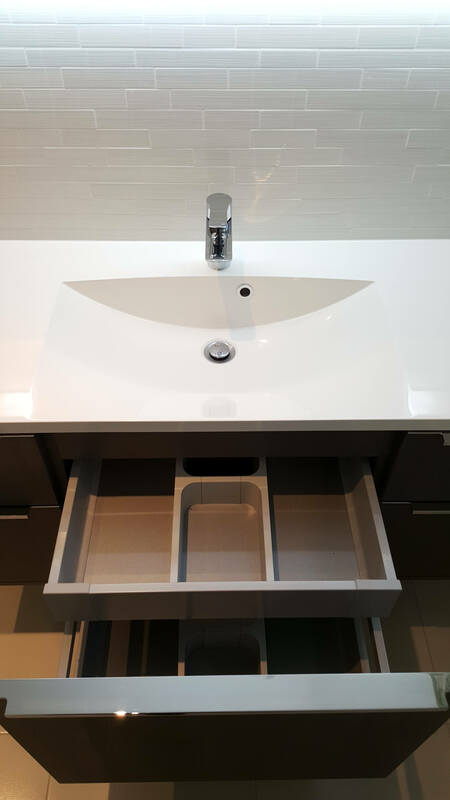 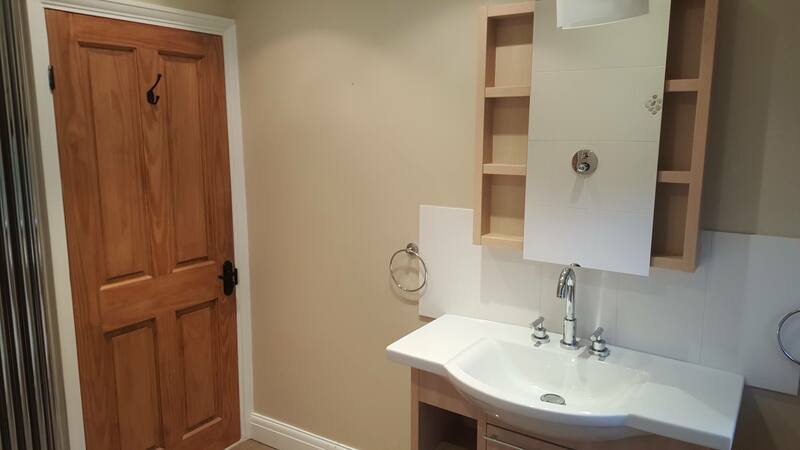 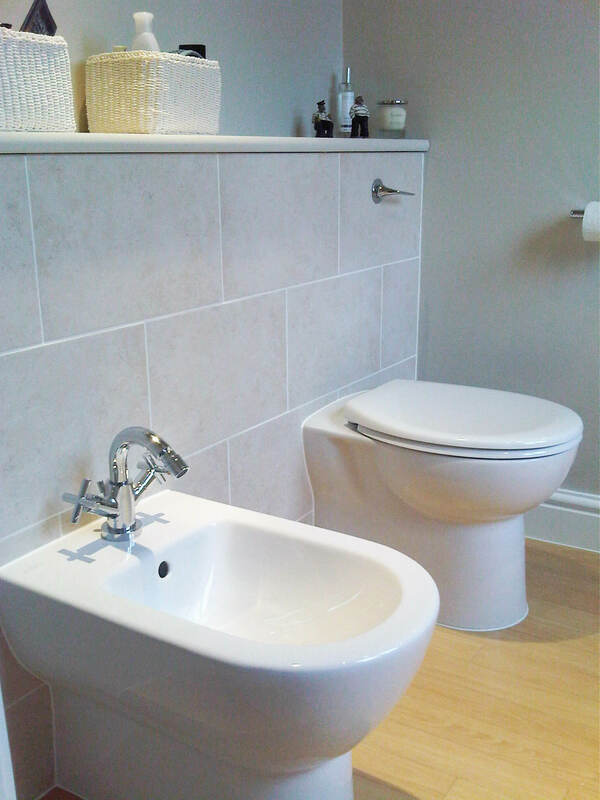 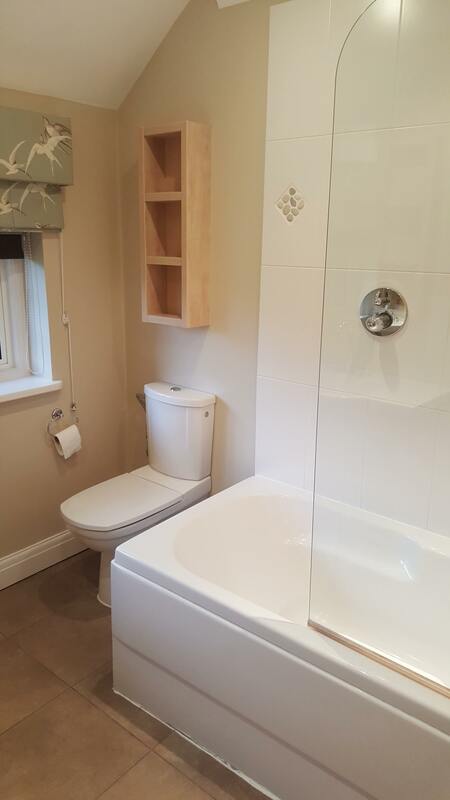 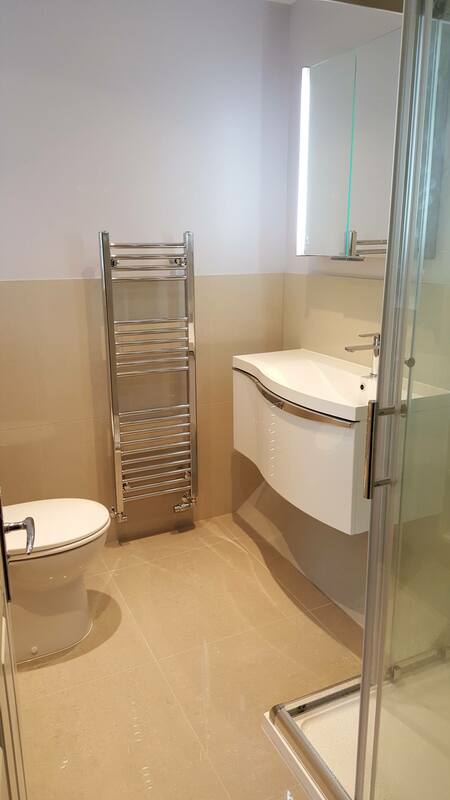 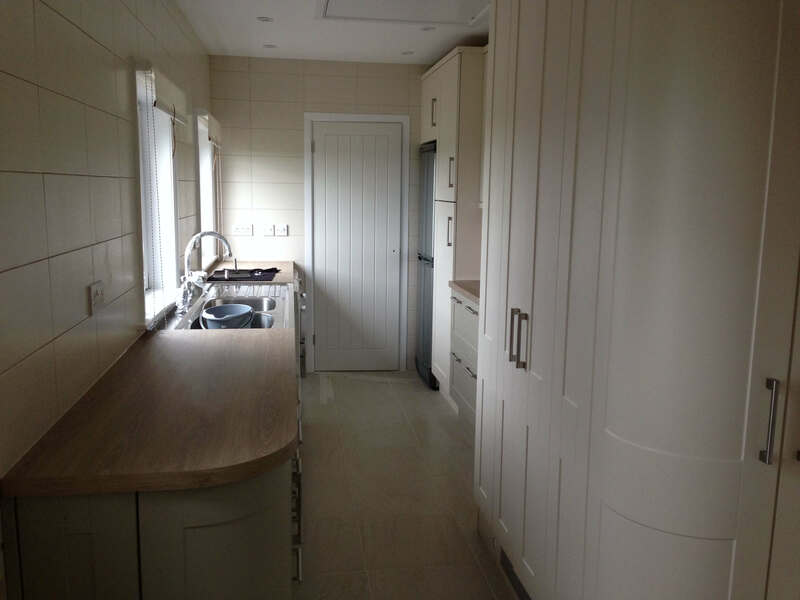 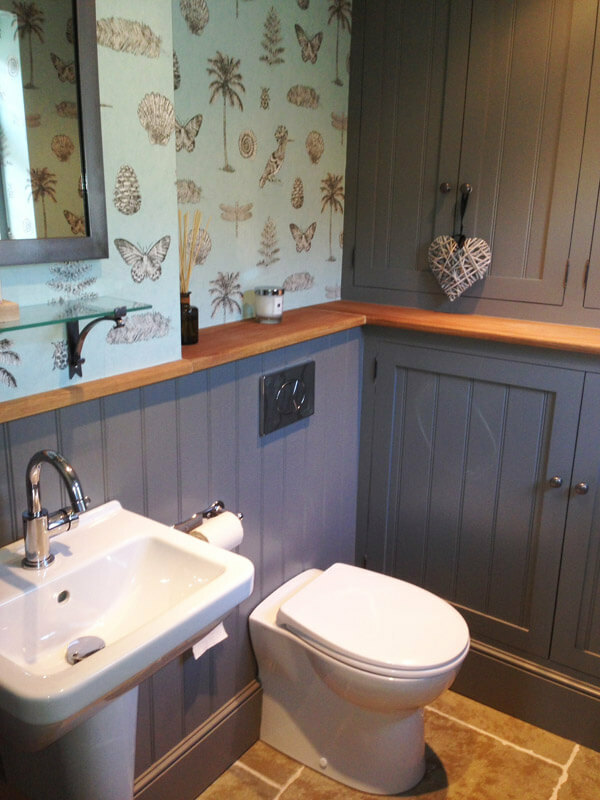 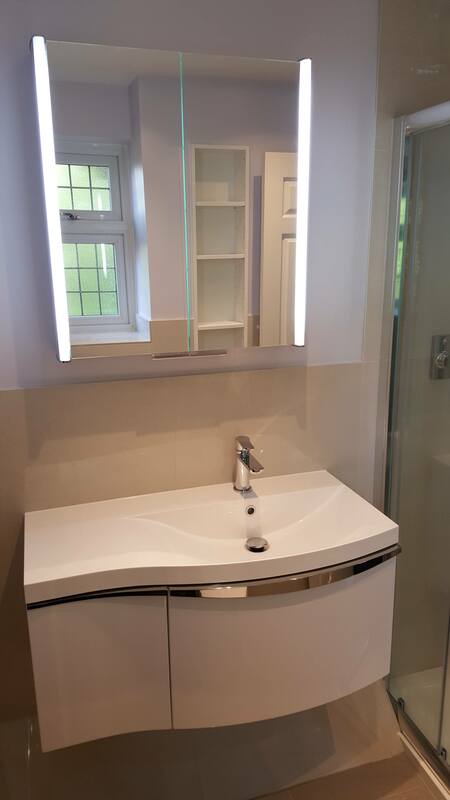 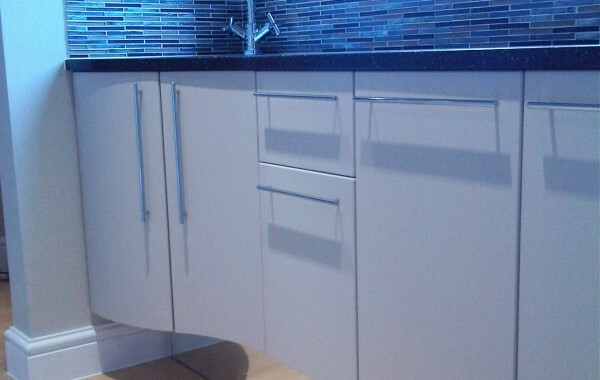 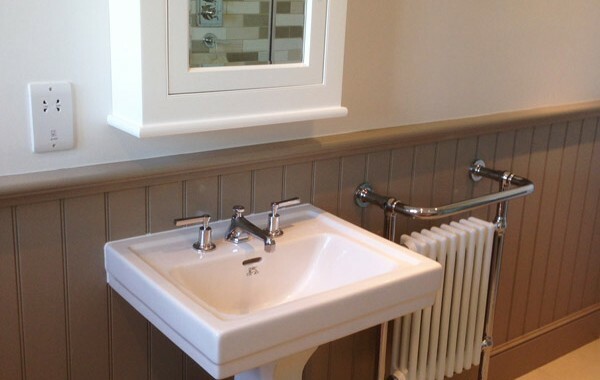 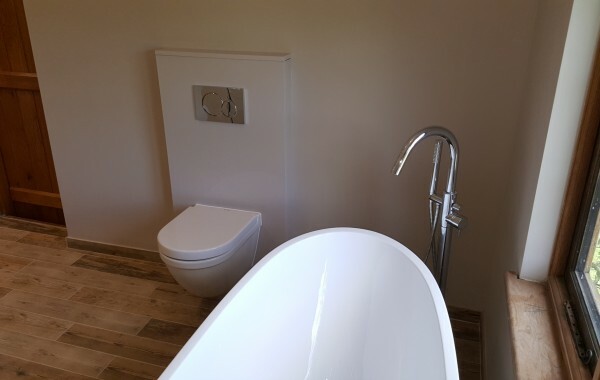 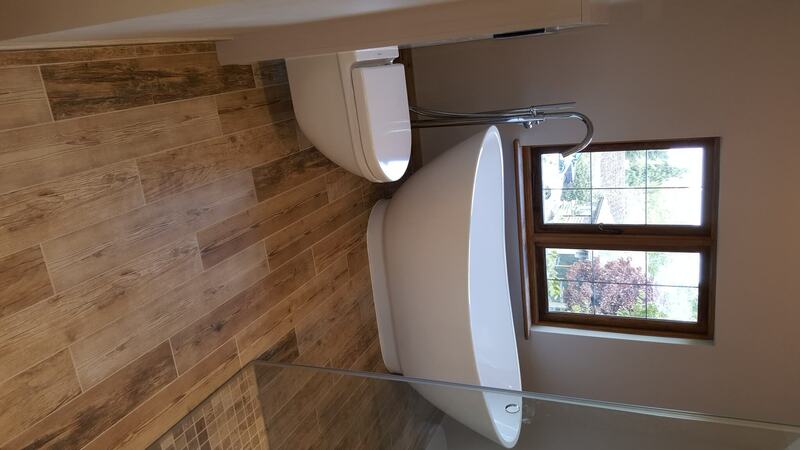 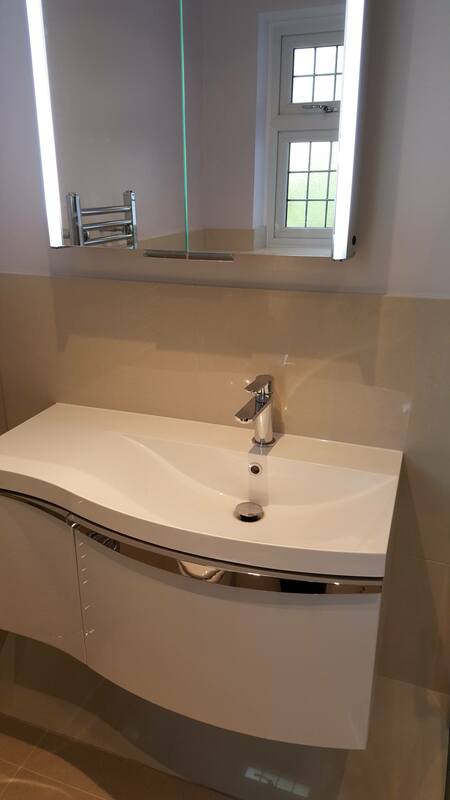 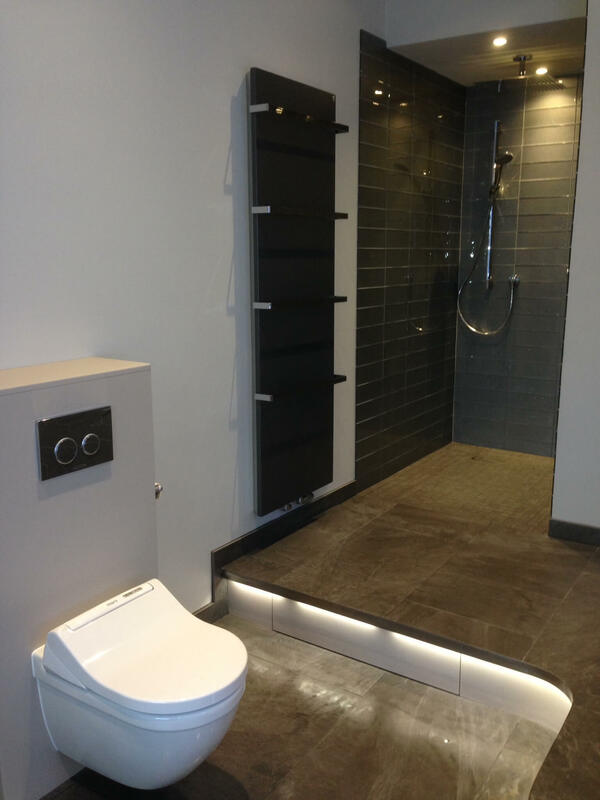 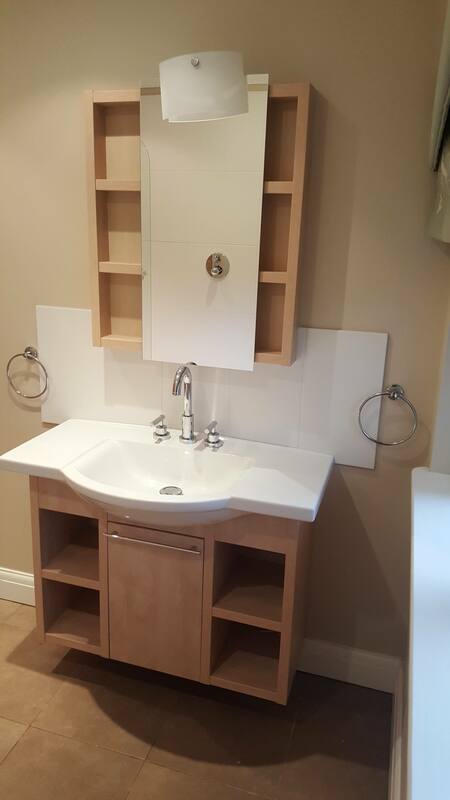 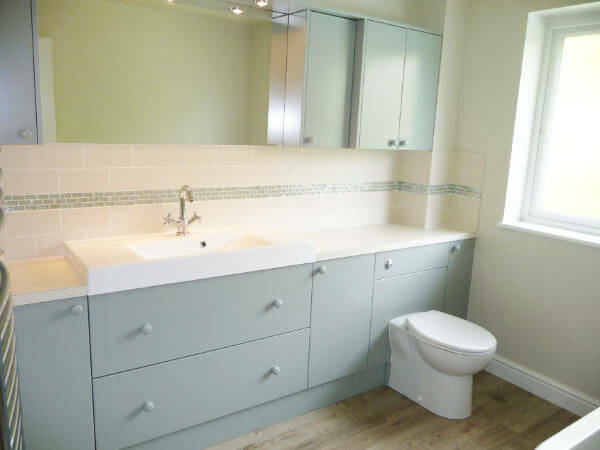 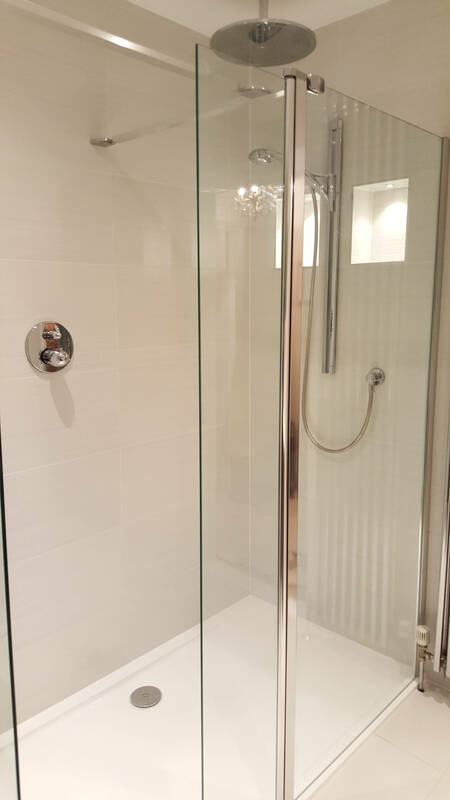 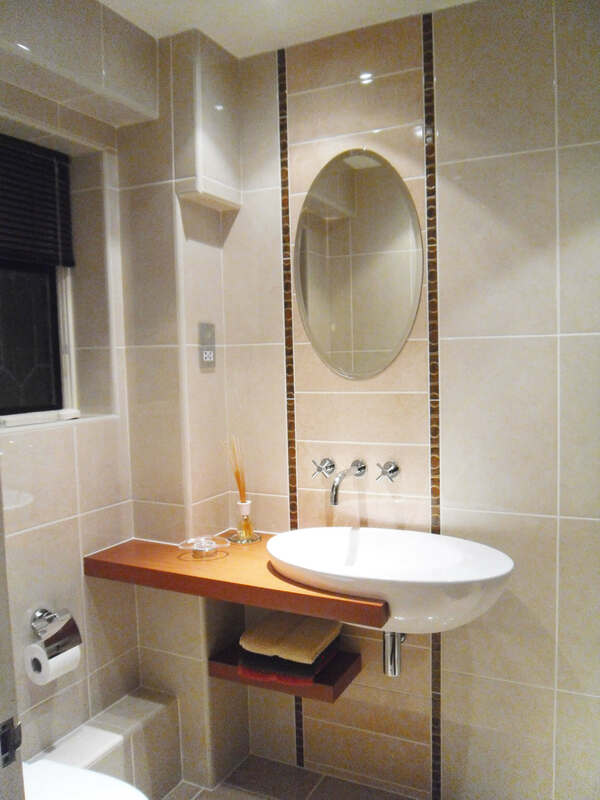 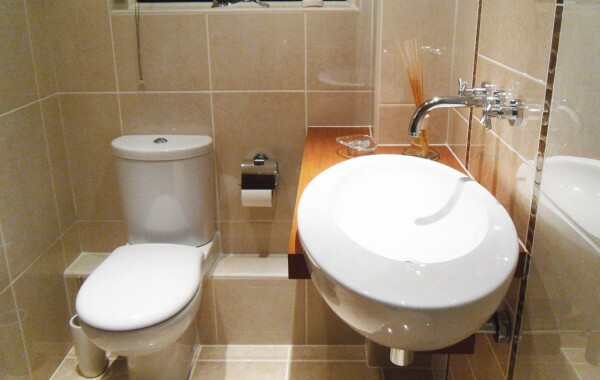 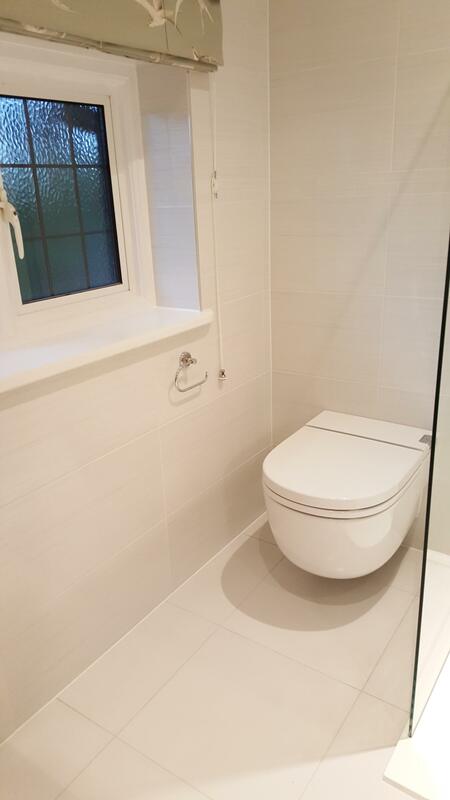 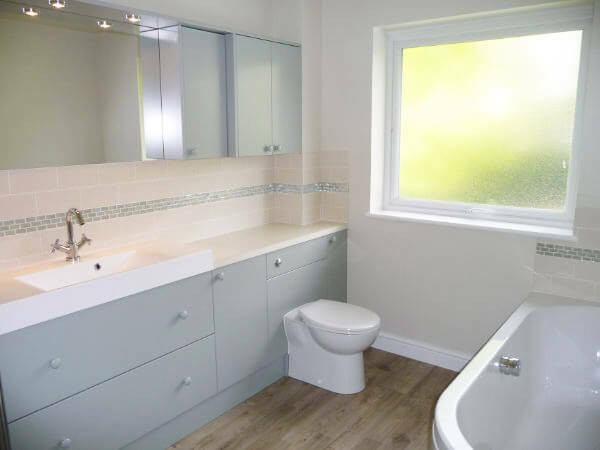 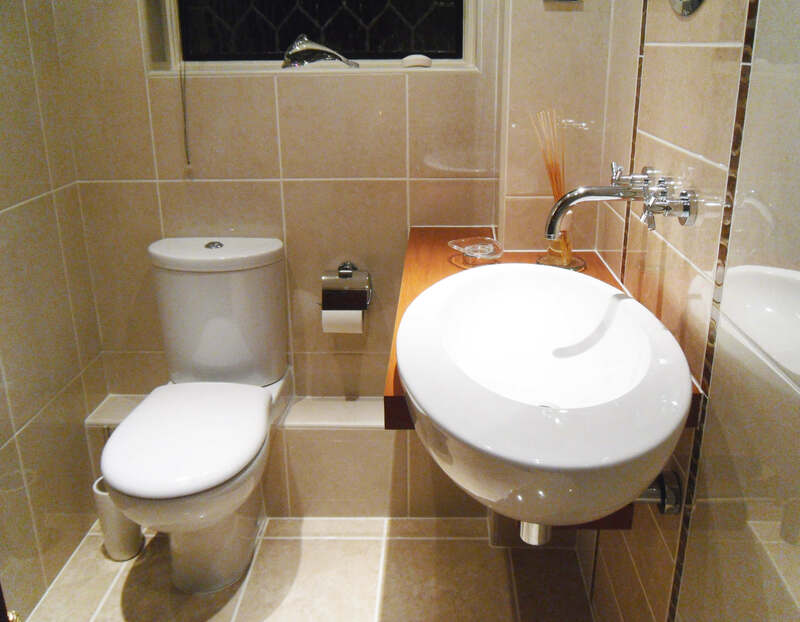 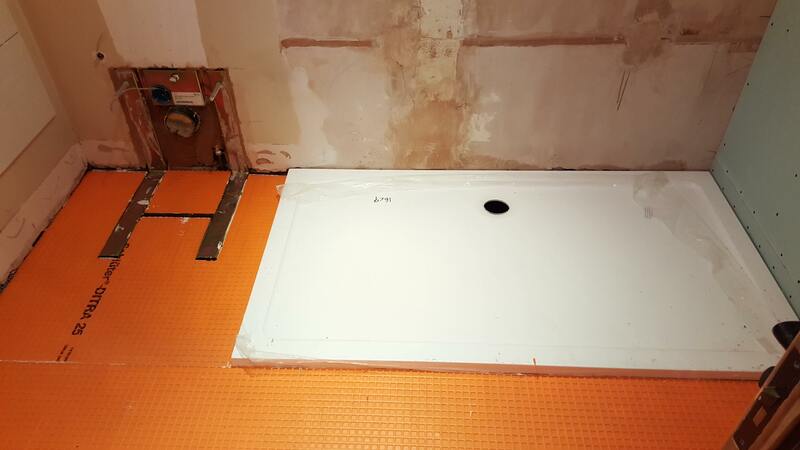 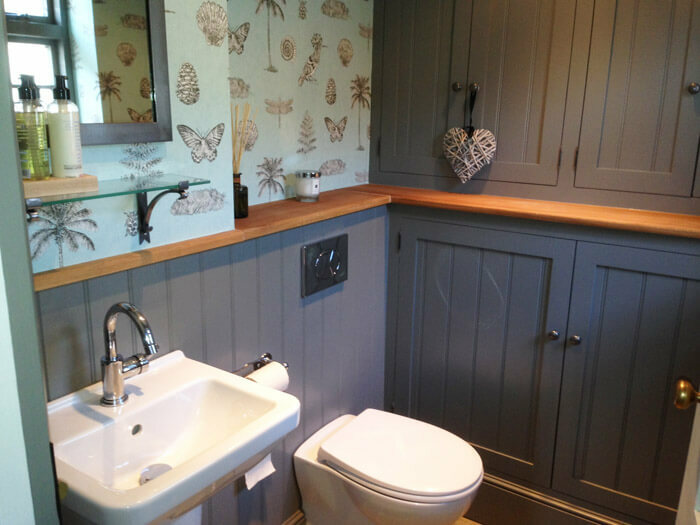 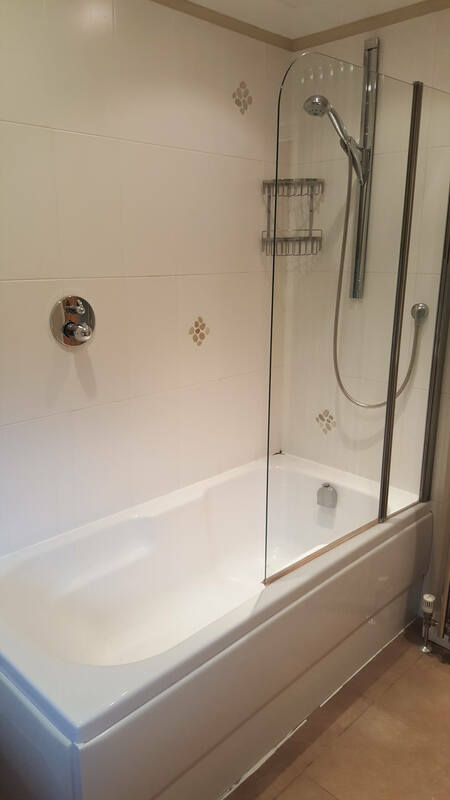 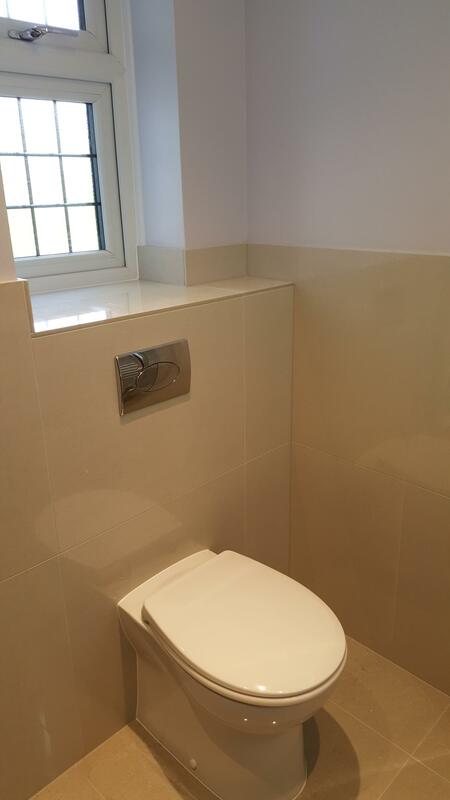 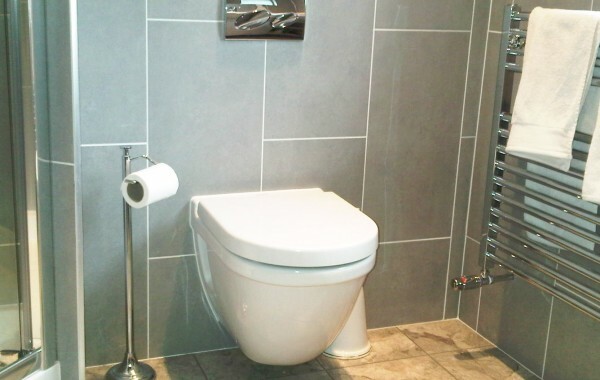 In this small en suite situated over the bulkhead of the stairs, storage was at a premium. 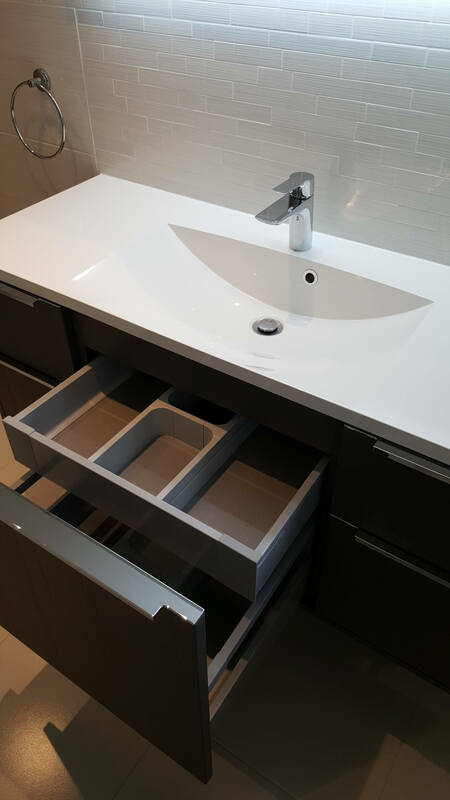 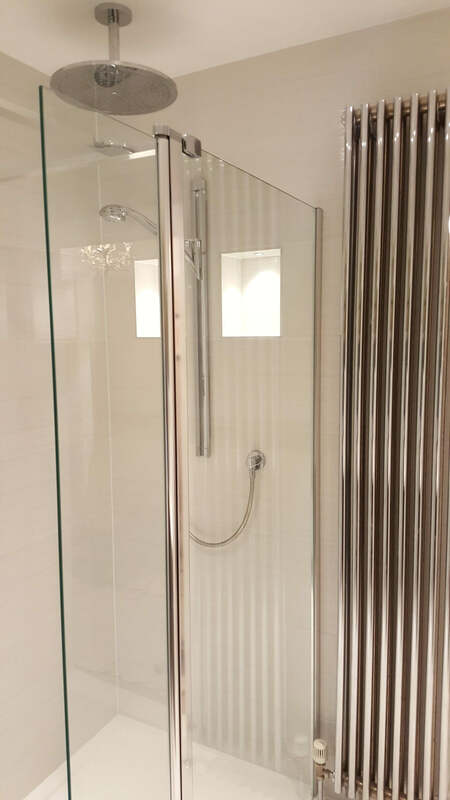 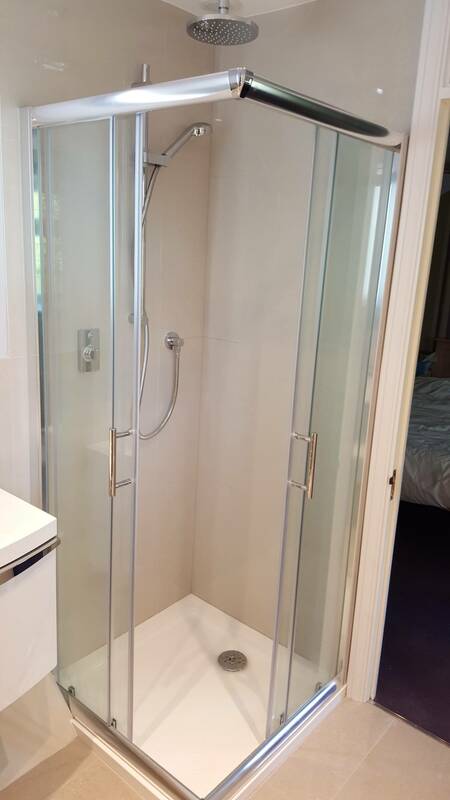 We discovered a large void between the en suite and bedroom and manufactured a tall, slim unit which was more than ample for all kinds of bits and bobs. 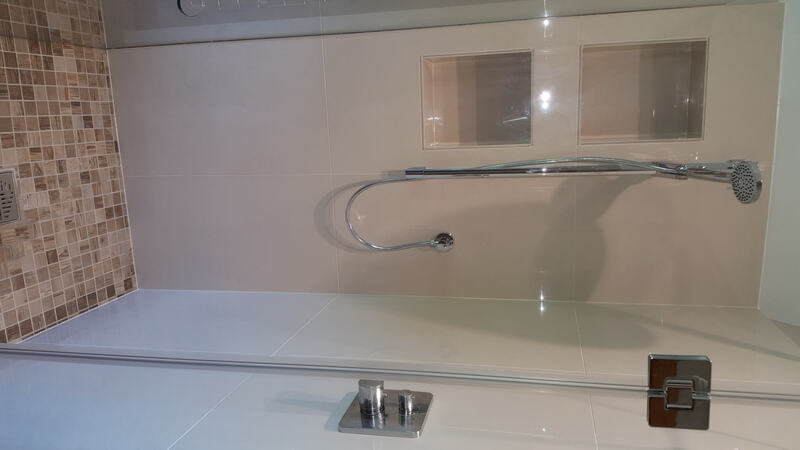 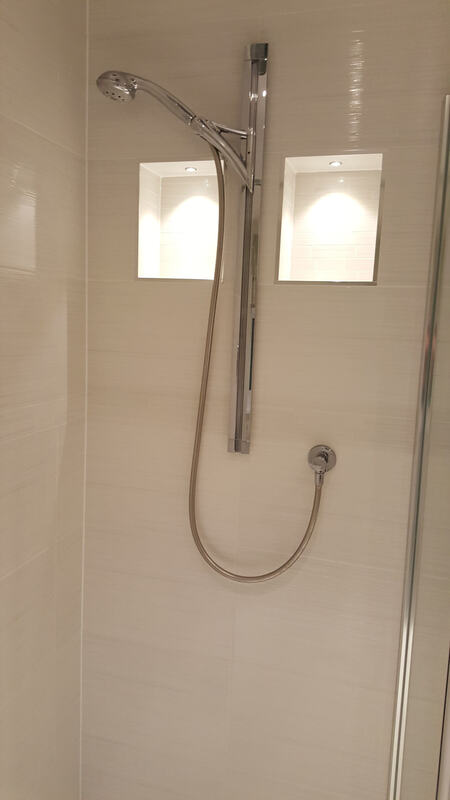 This new shower room incorporates the latest in "in-tank" toilet flushing. 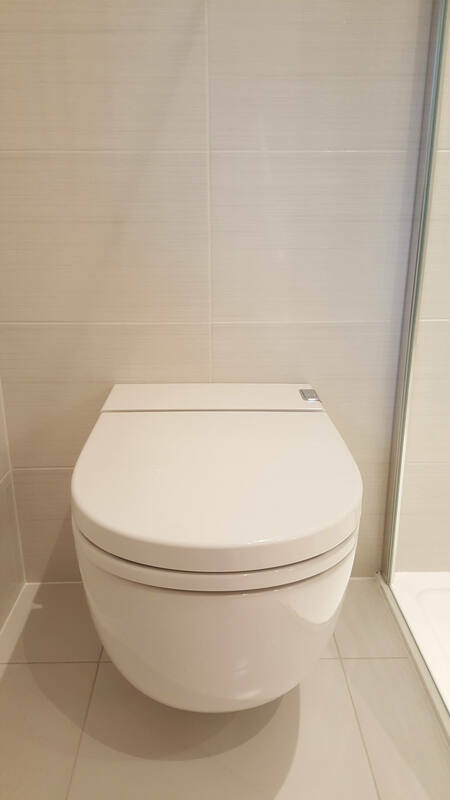 There is no cistern--it is incorporated in the pan itself and is pumped electronically. 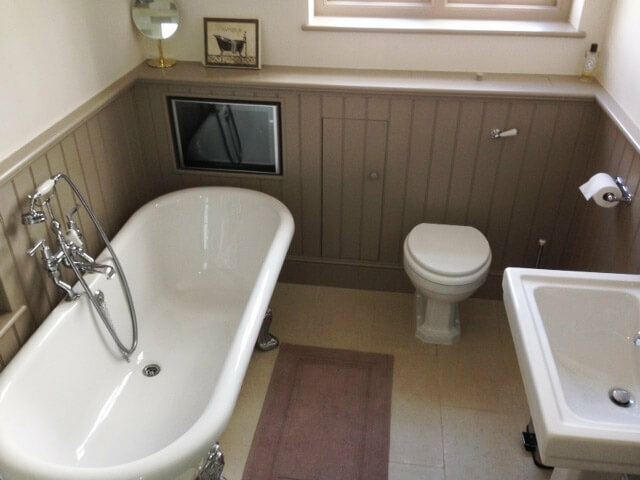 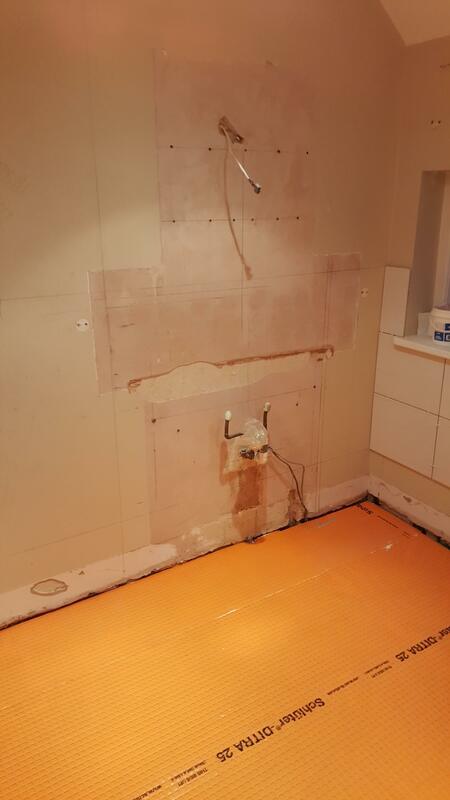 This is the warmest room in the house with nice big towel warmer and under floor heating. 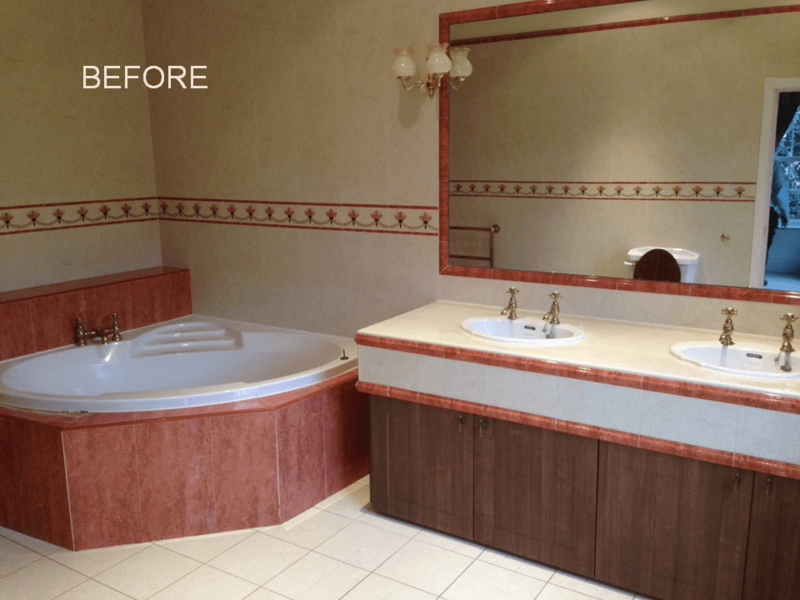 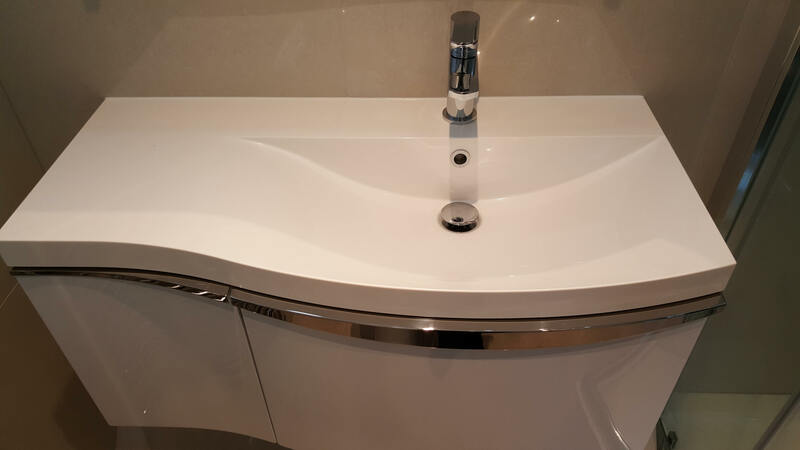 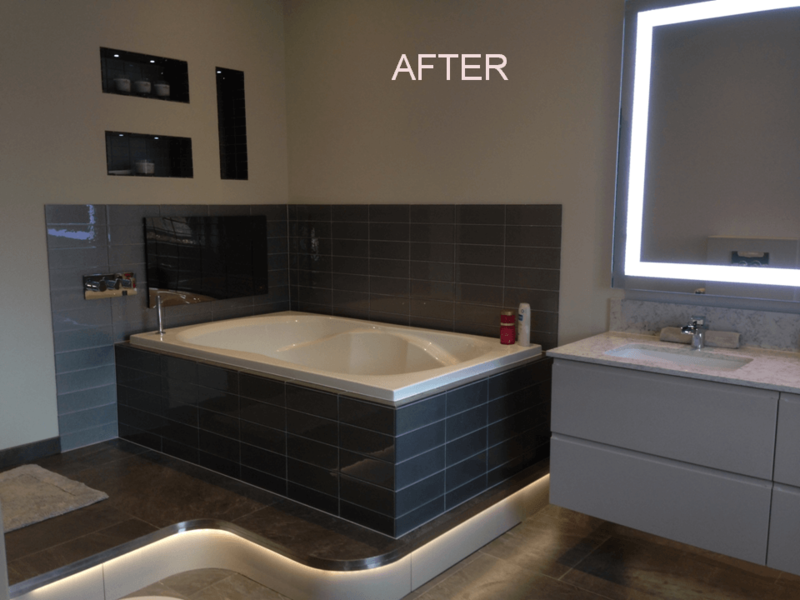 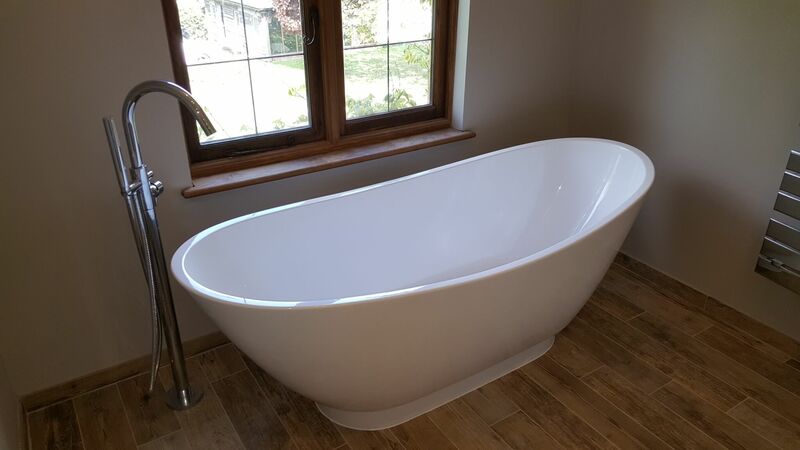 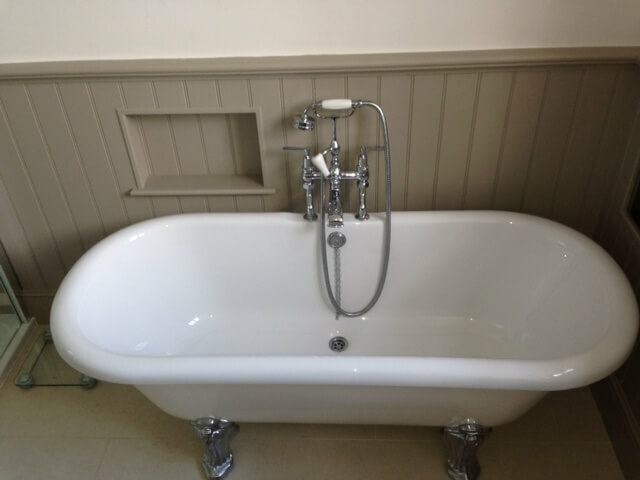 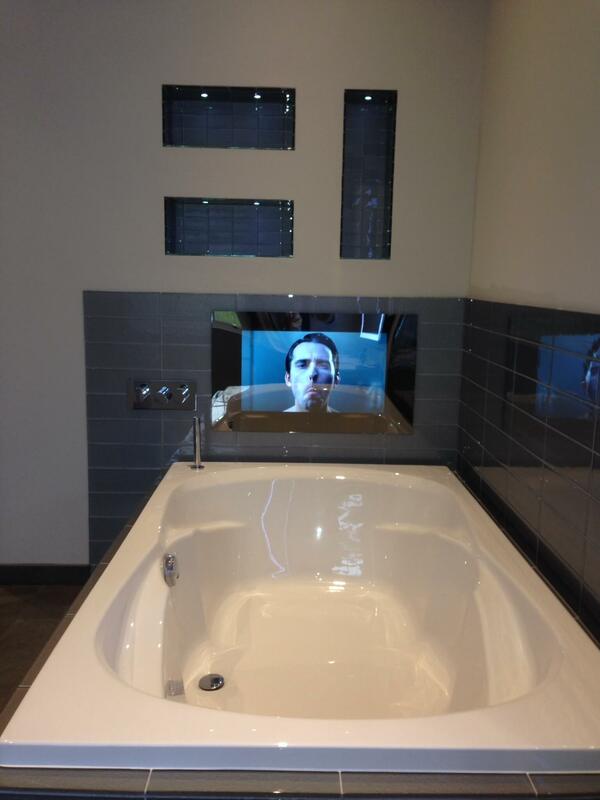 The customer wanted somewhere to relax so we installed a luxury over-sized bath with a TV to pass away the time. 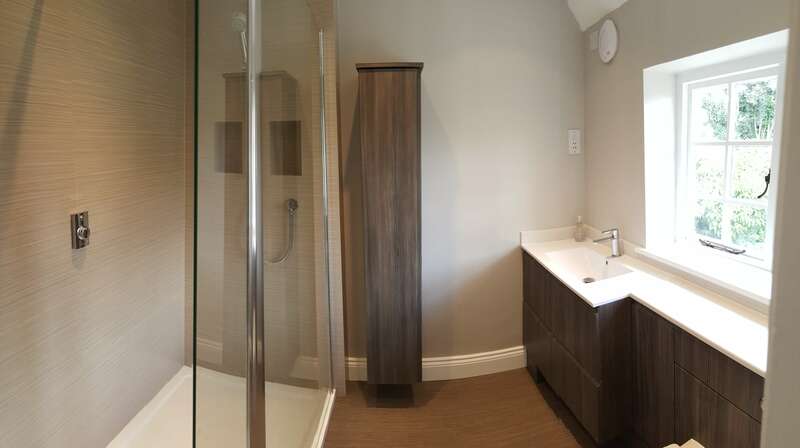 This room featured a step up to the bath and walk-in shower. 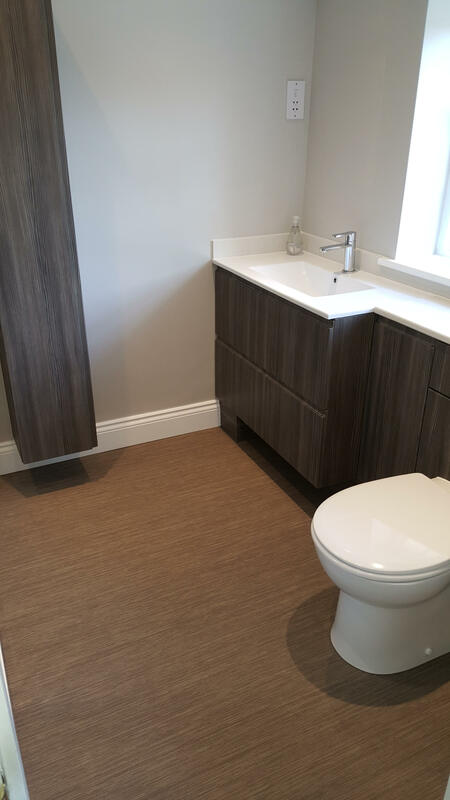 This room also features storage under the raised floor highlighted by LED lights under the step. 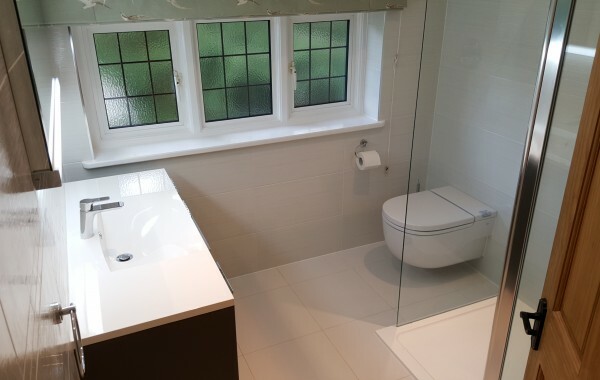 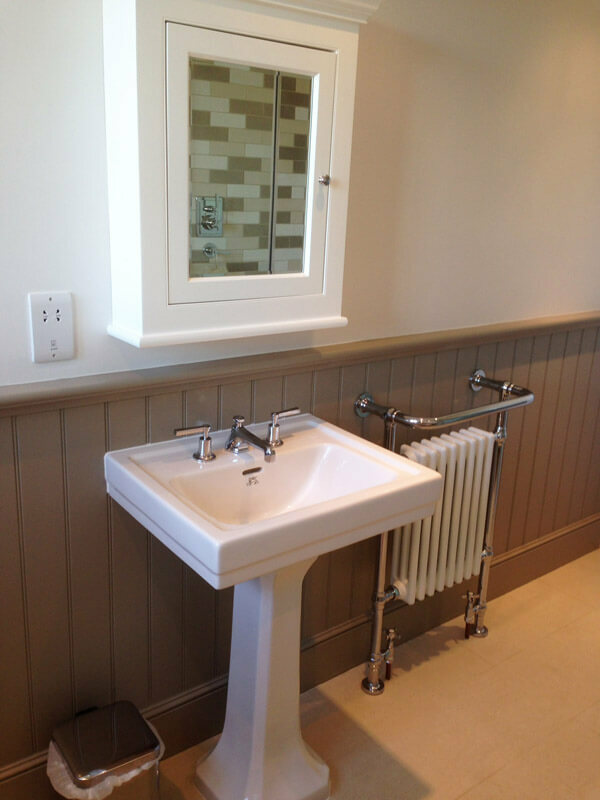 A very elegant bathroom, and we loved the fixtures and fittings. 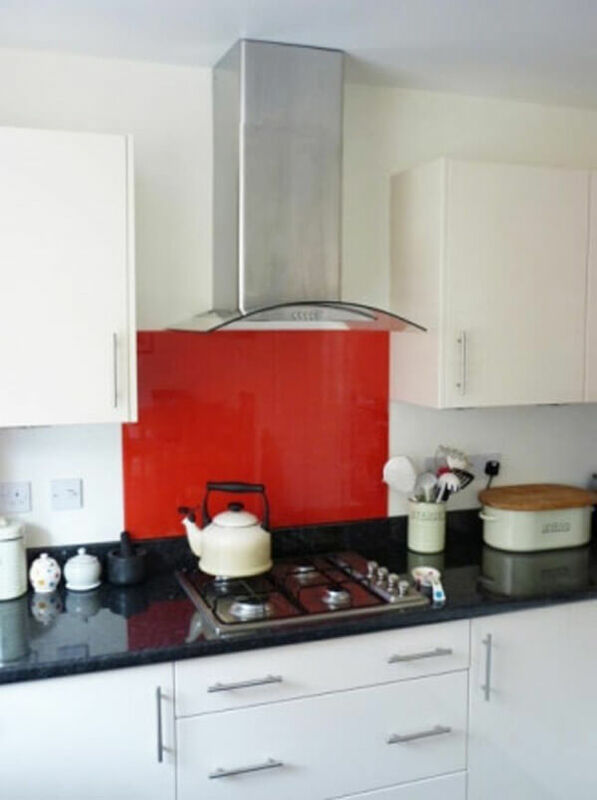 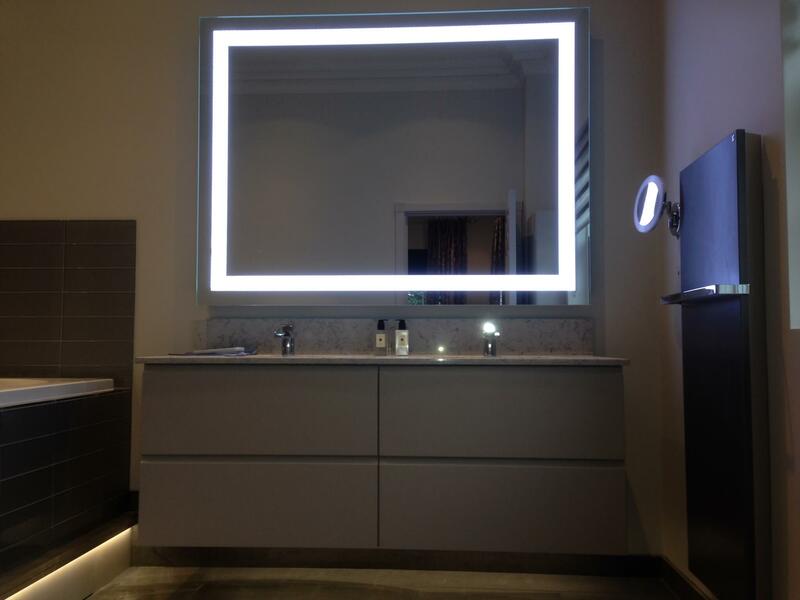 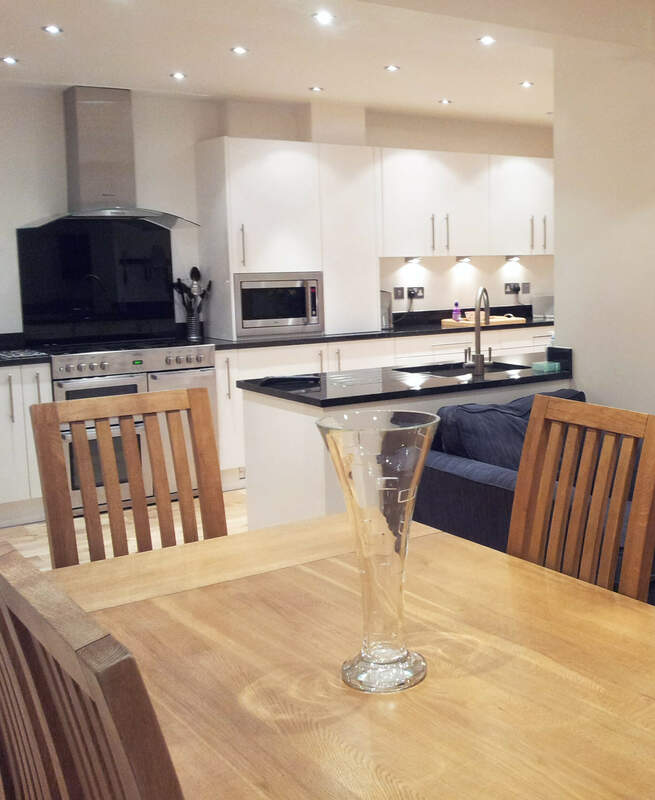 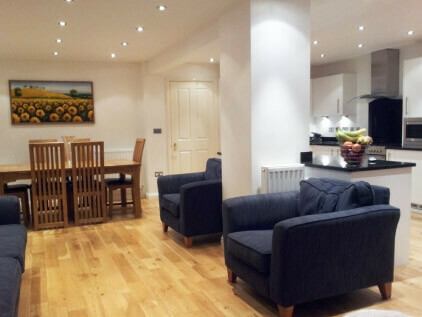 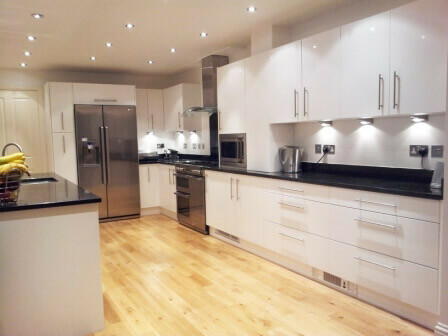 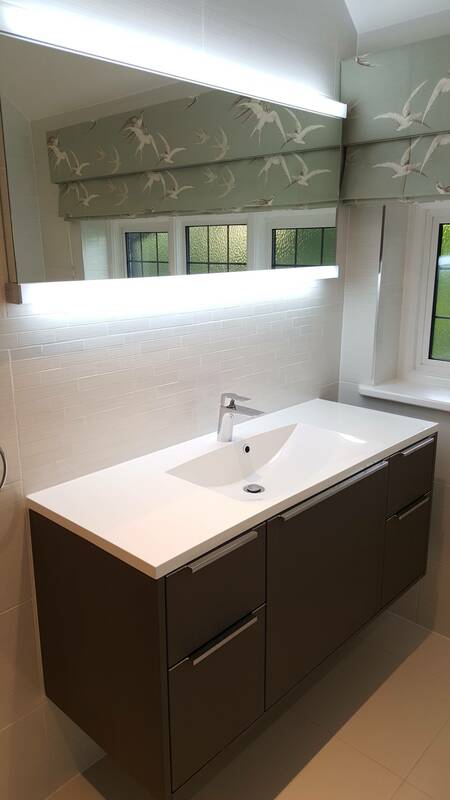 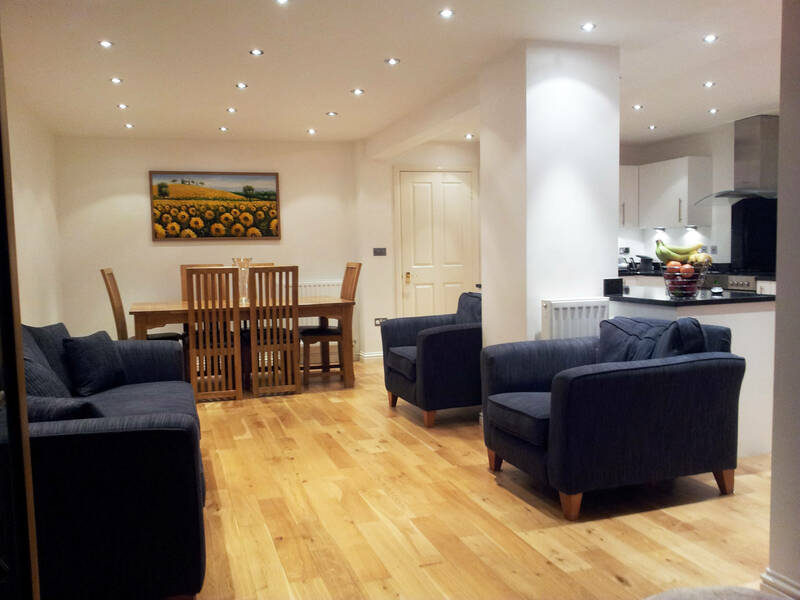 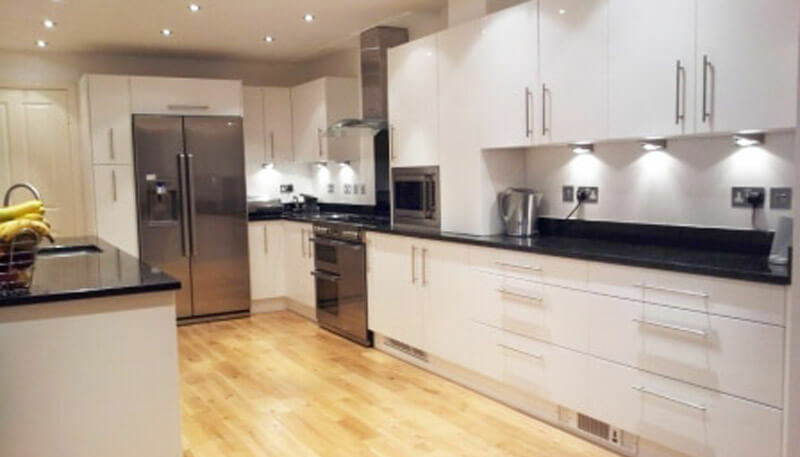 The light in this room created a soft glow with the colours and stylish fixtures and fittings. 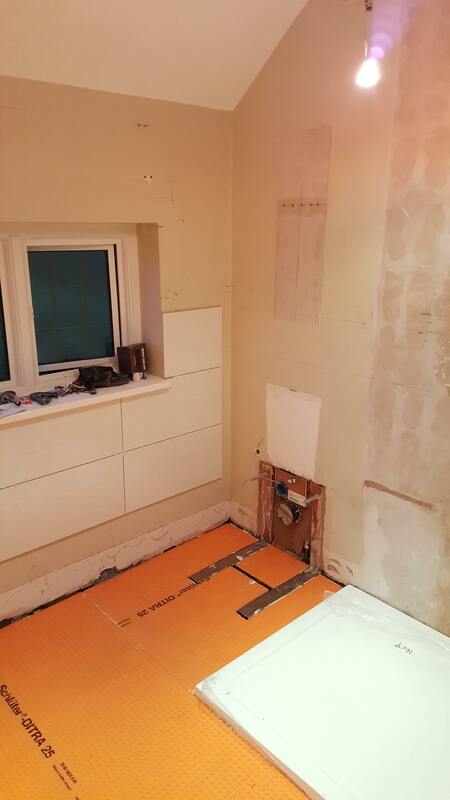 Creating the storage requirements for this room made for an interesting project. 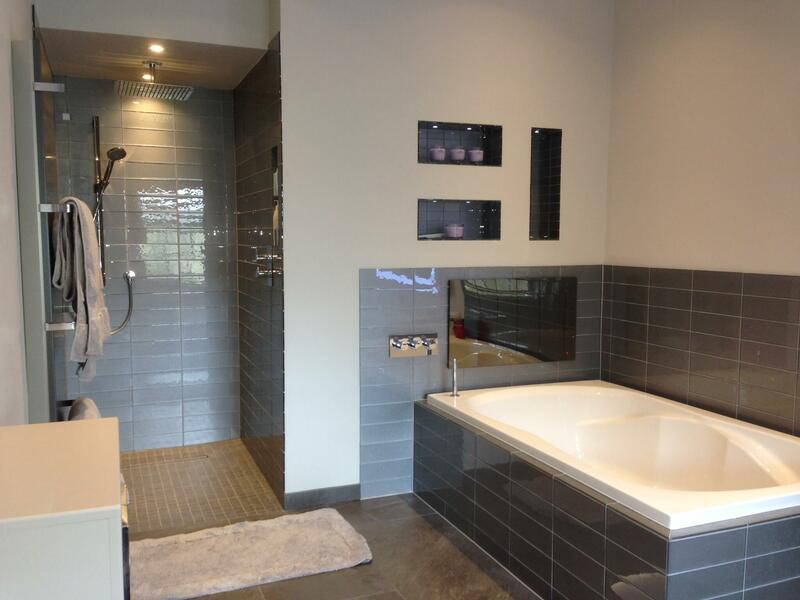 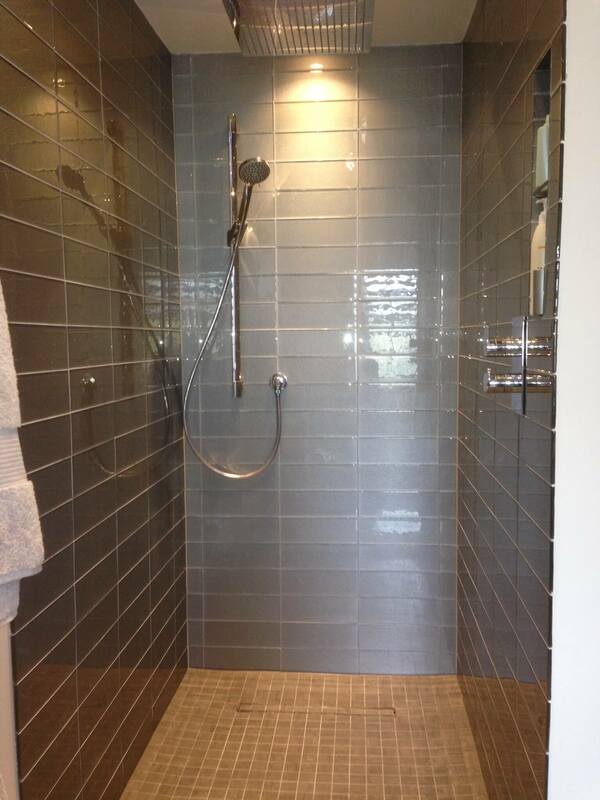 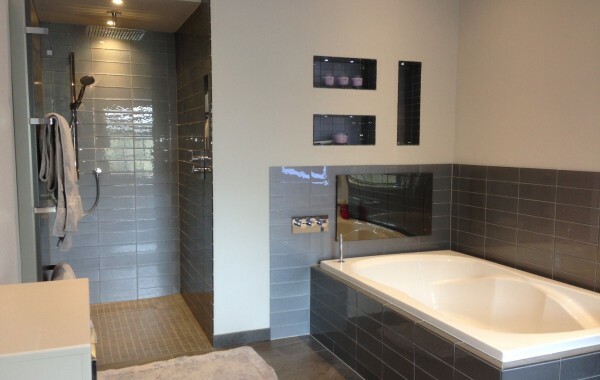 This project entailed designing two bathrooms in the house. 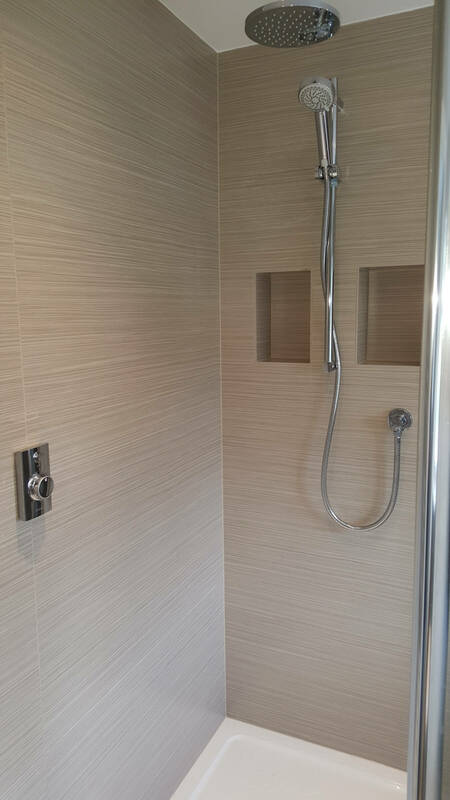 One with light colours, and a simple design, and the other with beautiful wooden cladding and contrasting suite.